Immersed in France’s bucolic rural heart, see its charming honey-coloured rural villages, sophisticated prehistoric art, gorgeous gardens and timeless medieval towns bursting with market-day life. Far removed from the noise and pace of modern life, on this fascinating tour you can completely immerse yourself in deepest France. Here is a hauntingly beautiful, undulating rural landscape covered with a verdant carpet of dense oak, walnut and chestnut forests slashed by deep, twisting gorges lined by craggy cliffs filled with sparklingly pure, trout-filled rivers. It’s bisected by dry-stone walls, studded with isolated farm houses and wonderfully medieval, honey-coloured stone villages which spring into vibrant life on market days just as they have always done. Unchanged for centuries and blessed with a wonderfully benign climate, its magnificence will take your breath away. 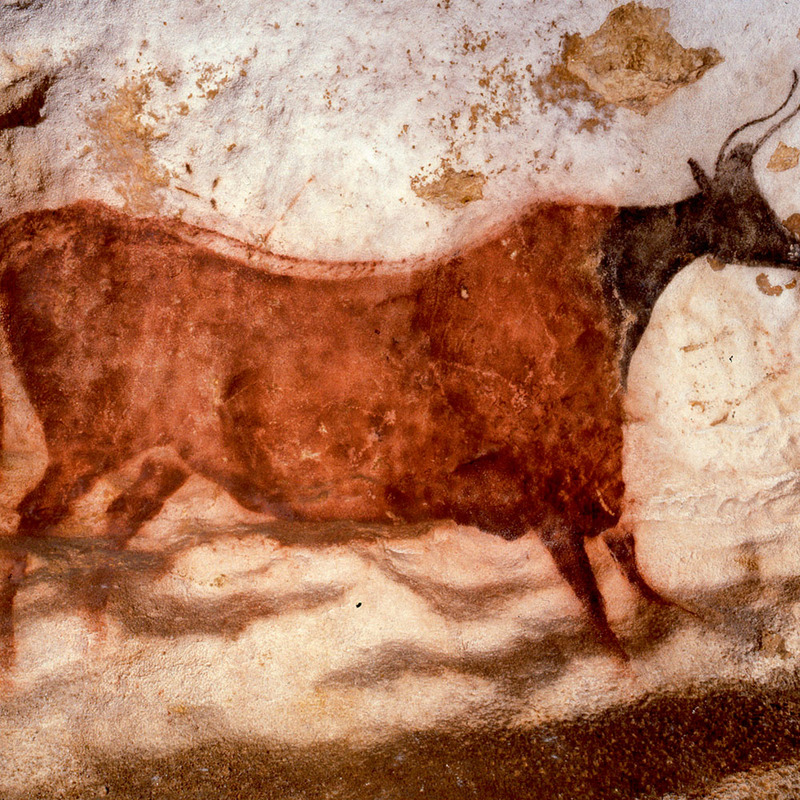 From the very dawn of European art and civilisation come the remarkable stone-age cave paintings of Lascaux. The sheer intricacy of this work and the skill and imagination used is beyond belief. There are troglodytic villages set into huge cliffs which remarkably are still inhabited. The Romans ruled here for 400 years introducing the vine which of course was immediately adopted with gusto! Then came the Cathars and the Wars of Religion, after which France became, more or less a united country. During medieval times, after the marriage of Eleanor of Aquitaine to our own Henry II, the fate of England and France became very much intertwined. With future succession disputed, the Hundred Years’ War commenced and legacies of this violent period abound throughout the region. Today these splendid walled towns and hill-top castles are a delight to explore and it is difficult to imagine this wonderfully quiet and peaceful scene was once so violent. 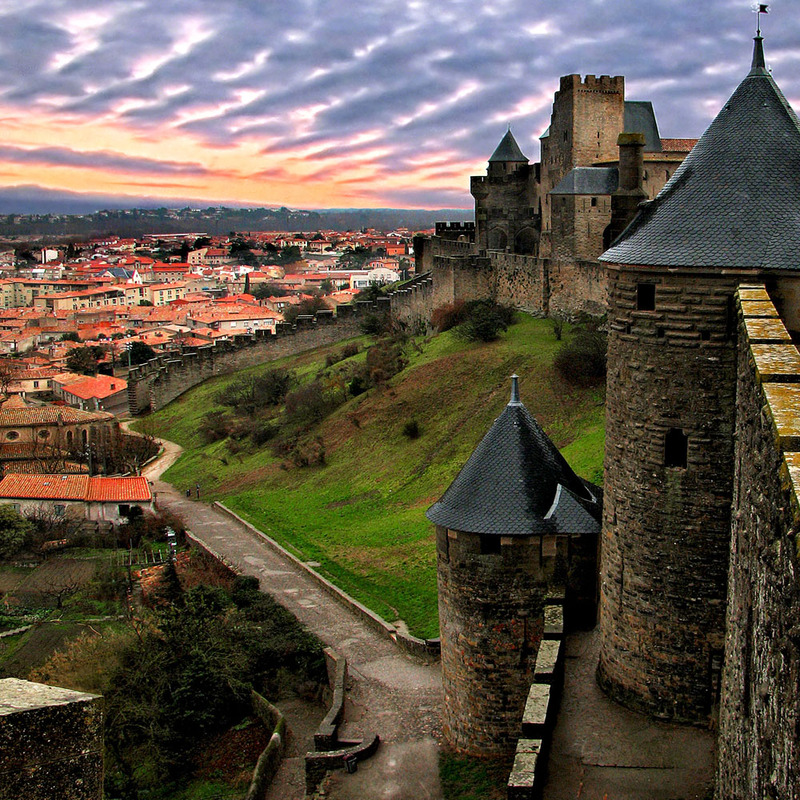 This history culminates as you gaze in wonder at the turrets and ramparts of the extraordinary walled city of 13th century Carcassonne. Art and culture are an ever present theme too, from the many craftsmen and artisans that have embraced the peaceful villages as their ideal home, to the extensive religious works in Albi’s remarkable Cathedral. 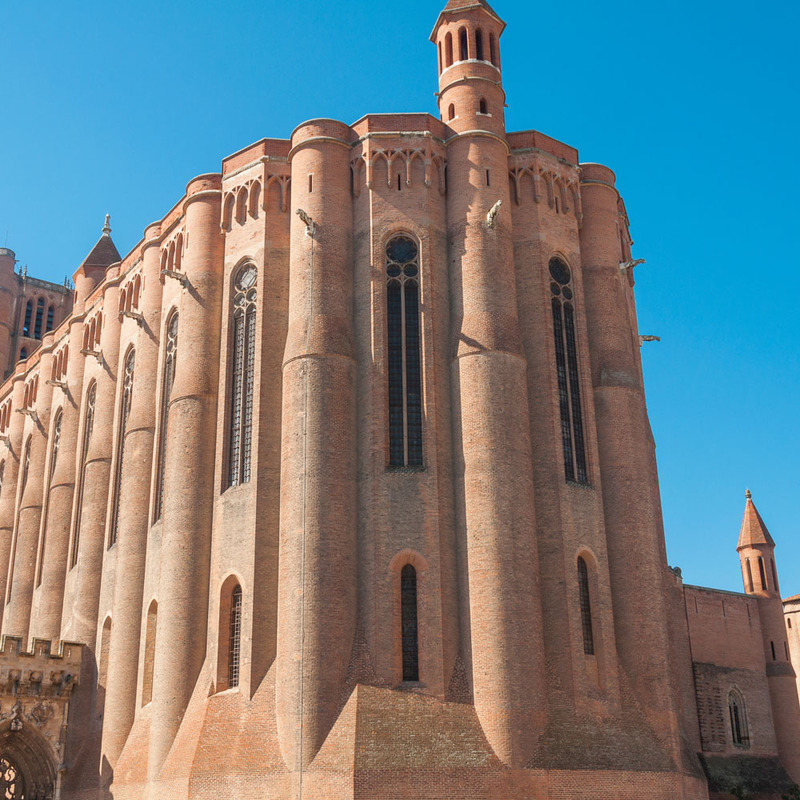 Beautifully brick-built, Albi nestles serenely on the banks of the majestic River Tarn and was home to Toulouse- Lautrec, one of the world’s great artists and you can see a superb exhibition of his finest work. There is so much to experience on this tour but the memories which will probably last longest is the stunning beauty of the countryside, the charm and allure of the enchanting villages and the seemingly idyllic lifestyle of the French themselves. You should arrive at the airport to take your flight to Toulouse or Carcassonne, or you can travel by train via Paris to Souillac. On arrival you will be met and taken to the three-star superior hotel Relais de la Moussidière for four nights with dinner on the edge of delightful Sarlat, probably the most picturesque town in the Dordogne. The rest of the day will be spent at leisure, allowing you time to settle into the hotel and start exploring if you wish. 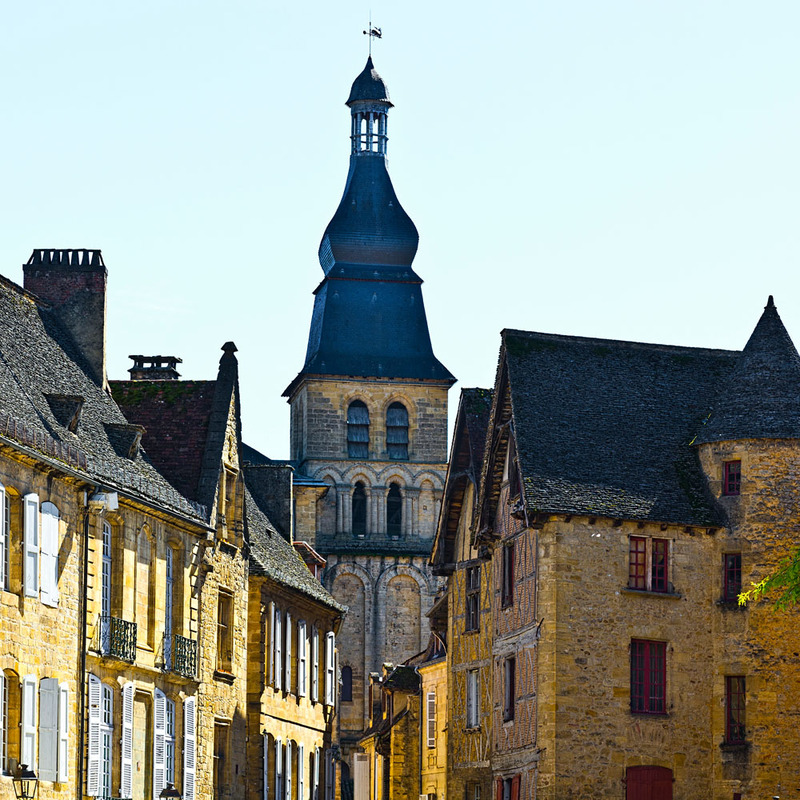 The timeless market town of Sarlat dates from Charlemagne’s time. Today it’s an architectural jewel constructed from the local luminous golden stone with 13th century buildings lining its narrow twisting alleys. Such is its striking state of preservation, Sarlat has been the setting for a host of films, including Les Misérables and Joan of Arc. The street life is wonderful - watch the locals tasting the produce on offer: pungent cheeses, fine charcuterie and the market stalls positively groan under the weight of colourful ripe vegetables. Watch friends meet in the street, kiss on both cheeks then immediately proceed to catch up on the local gossip! This is quintessential provincial France in its purest form. Unusually for this part of France, Sarlat was only under English rule for around ten years and during our morning guided tour, as we amble through the atmospheric cobbled streets, we learn how the area has stood the test of time after a long and troubled thousand year history. This afternoon we travel through the mists of time at the famous caves of nearby Lascaux, with entrance fees included. Here, 17,000 years ago, at the very dawn of European human habitation, our prehistoric ancestors established the continent’s earliest-known sacred human site and we have a staggering glimpse back into their thoughts as we discover their amazing cave art. The original cave was closed in the 1960s because of damage caused by CO2 exhalation from visitors, so what you are viewing is actually a copy. However, do not think the visit is any less fascinating for this as the entire site has been perfectly reproduced using original techniques, which is a stunning achievement in itself. This meticulous replication took six years and has been achieved to a tolerance of just 3mm! If rock has fallen from the roof revealing a cavity and different colours – the resulting changes have been reproduced! The staggering 2,000 figures, galloping herds of horses, groups of grazing deer and even a 5 metre long bull, make use of ‘perspective’ and illusionary ‘3D’ techniques to create a scene of remarkable beauty. If created today the works would not be out of place in the world’s great galleries, but more than that, recent research suggests that the positioning of the various animals reflects the celestial location of various constellations at the winter solstice. The secrets of Lascaux are still being unravelled but this incredible sophistication proves these prehistoric artists were far from primitive! 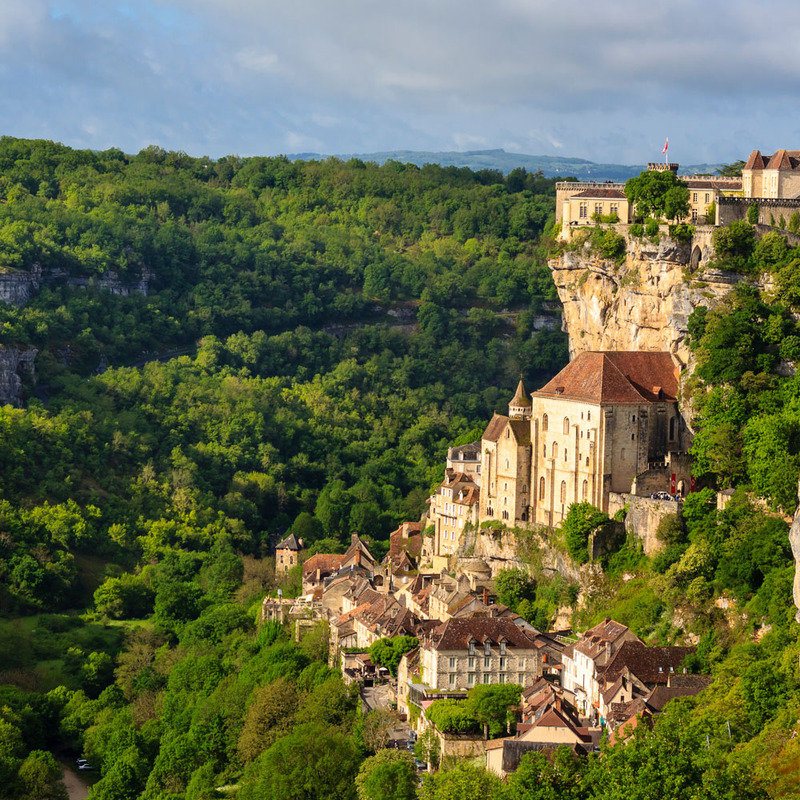 Today we follow the extraordinarily picturesque river Dordogne to one of France’s most instantly recognisable sights – the remarkable village and monastery of Rocamadour. As we round the twisting and ever-ascending lanes, the view of this eclectic, near-vertical village assaults you. Hewn from the rock itself and dominating the riverbed below, its contours and overall beauty are highlighted by the bright sunlight. Following the discovery of St Amadour’s perfectly preserved body, Rocamadour became a pilgrimage site during the Middle Ages, the ‘Lourdes of its time’, famed for its healing powers and visited by numerous monarchs. There’s time to explore the village under your own steam. We then journey west to visit the unusual ‘Overhanging Gardens’ of Marqueyssac. This beautiful formal display took 30 years to create and the superbly relaxing path through clipped box hedges and indigenous trees, plus one of the best panoramic views in the Dordogne, put these gardens in a class apart. Within a couple of lazy meanders of the graceful river Dordogne is a remarkable collection of places embodying the fascinating melange of dramatic natural features, centuries of history and varied cultural delights which make the Dordogne one of the most special parts of France. 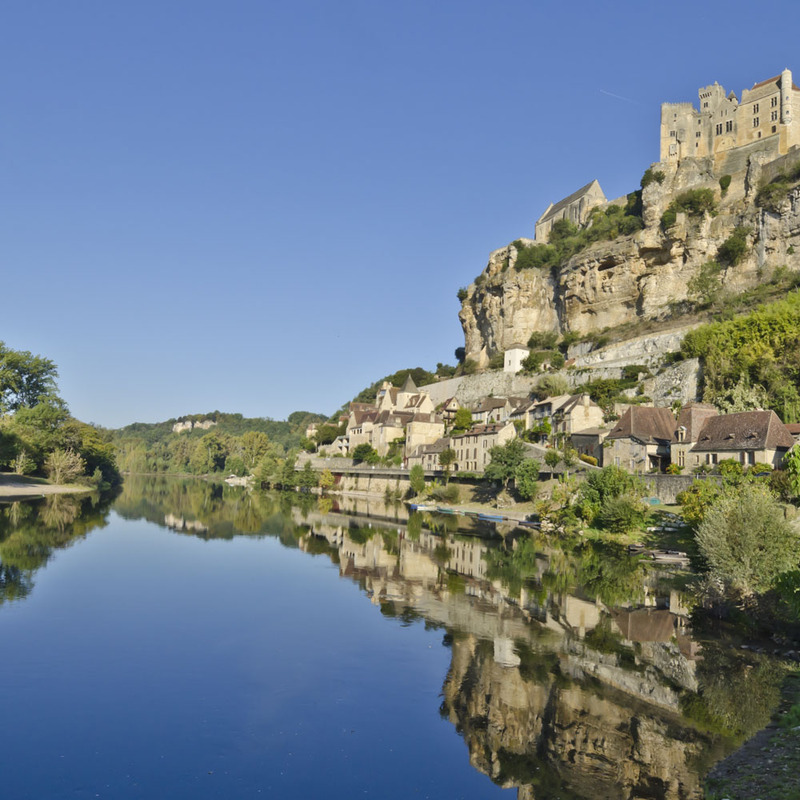 Firstly we see the great fortress of Beynac, towering above the river and once captured by Richard the Lionheart. With amazing views, cobbled squares and a maze of narrow alleys, the village is recognised as one of the ‘Most Beautiful Villages in France’. A short drive then takes us to Domme, a magnificent walled town with several fortified gates, yet more stunning views, an array of fine medieval dwellings plus goldsmiths’ houses and a delightful covered market. Afterwards we drive back towards the river to discover one of France’s prettiest villages. With its riverside location and cream-coloured stone houses, La Roque-Gageac is a delight to explore. Here we board a traditional ‘gabare’ boat, once used for transporting wine, for a sense of the way of life that once dominated the region. 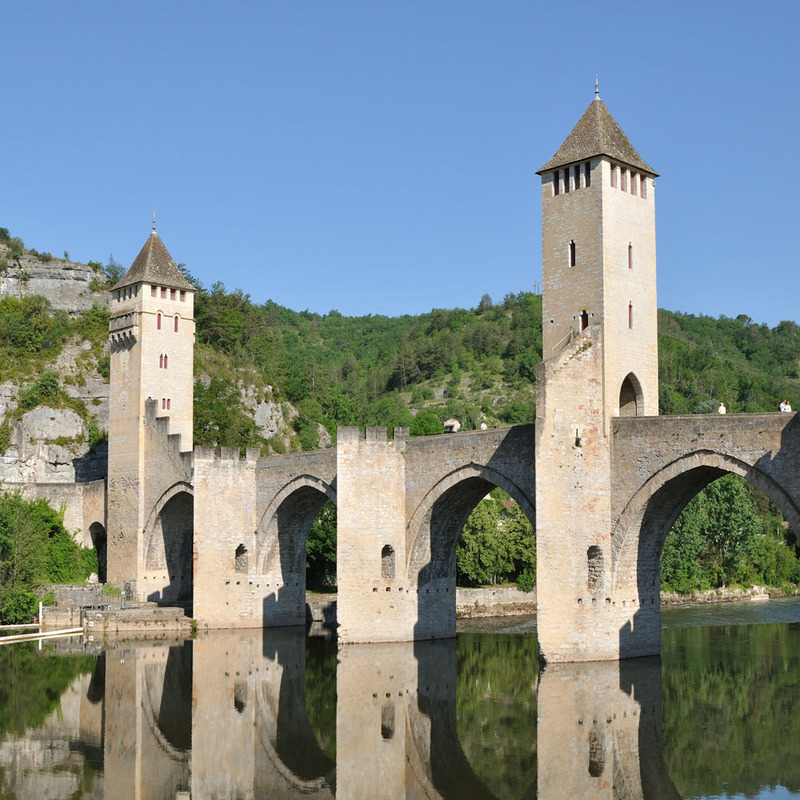 This morning we bid farewell to the Dordogne travelling south to delightful Cahors, with its splendid 14th century fortified Valentré Bridge majestically spanning the River Lot. Continuing, the countryside gradually changes from rolling wooded slopes of lush green to the more pale yellows, ochres and endless fields of the instantly recognisable sunflowers so typical of southern France. You stay three nights with breakfast and one dinner in Carcassonne. We use two hotels, both owned by the same family who are third-generation hoteliers and very professional in their approach. Enjoy a stay at either the four-star Mercure Carcassonne La Cité Hotel or the three-star superior hotel Le Donjon. Some dates will stay in Albi at the four-star hotel Saint-Antoine. There are many historic ‘old towns’ in France but none quite compares to Carcassonne with its magnificent medieval citadel, its fairy-tale-like, cone-topped turrets and serrated cream-coloured Battlements. You will have a guided tour during which you will experience a wonderful sense of timelessness, wandering ancient cobbled lanes founded by Romans and trodden over the centuries by Visigoths, Saracens and rich medieval merchants. The citadel remains a living village and this afternoon you will have time to discover its more peaceful corners, absorbing the unique atmosphere of this truly special place. Albi came to prominence as a centre of Catharism, an unusual Christian sect but with some rather ‘strange’ views including the worship of two gods with the Pope being the representative of neither, all men being equal – as wealth itself should be and all should have a vote - including women. Obviously this was pretty radical stuff for the 12th century! The Pope declared them heretics and initiated a crusade against them. Today, on approaching Albi, you will see the stunning brick built city, dominated by one of the finest gothic cathedrals you will ever see. The overall ambience here is different from the Dordogne, more Mediterranean in character and during our guided tour we will learn all about this once independent state featuring a visit to the cathedral, arguably the largest brick building in the world. Its sumptuous interior is breath-taking in its detail and boasts one of Europe’s most important medieval works, an enormous mural of the Last Judgement. This afternoon you are free to explore as you wish. The renowned artist Toulouse-Lautrec was born here and a museum houses a rich collection of his most famous works. It is just lovely though to amble around Albi’s old town, one of France’s largest conservation areas. Please note that for tours staying in Albi, Days 6 & 7 will be operated in reverse order. 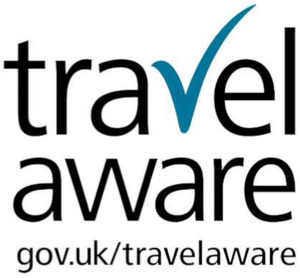 You will be transferred to the airport or station for your return journey at the appropriate time. The price of this holiday is per person based on two people sharing a twin room. Single rooms are subject to availability at the relevant supplement. The price includes return flights or Eurostar and onward rail, seven nights’ accommodation with breakfast and five dinners, all tours as mentioned, all local accommodation taxes and the services of a Riviera Travel tour manager. Included excursions are: guided tours of Sarlat, Albi and Carcassonne, entrance to the Marqueyssac Gardens, entrance to Beynac Castle, a ‘garbare’ river cruise, entrance to and tour of the Lascaux IV caves and visits to Domme, Rocamadour and La Roque-Gageac. Where the hotel features a swimming pool, this will be open during the summer months according to weather conditions.